Berwyn boasts many historically and architecturally significant buildings, both commercial and residential, throughout the city. They represent our community's growth and development. Preserving them is part of a comprehensive approach to the revitalization of our city. 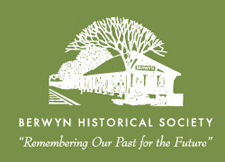 This page will highlight the efforts of various organizations committed to preserving the history of Berwyn and its buildings.